Describe the matrix organizational structure. What are some challenges for IT projects under the matrix organization structure? What are some opportunities for IT projects under the matrix organizational structure? What is projectitis? When might you expect to encounter projectititis? How could an organization minimize the likelihood of projectititis? 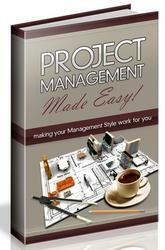 Describe the balanced matrix, functional matrix, and project matrix organizational structures. Describe what is meant by the informal organiza tion. Why should the project manager or project team be concerned with understanding the informal organization?